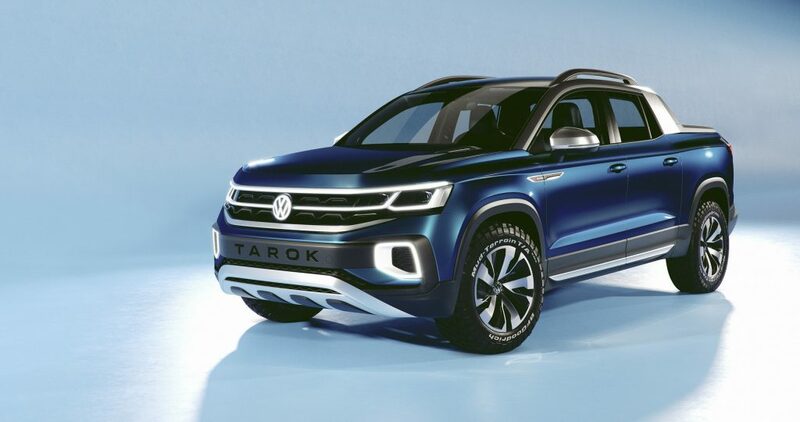 The VW Tarok is the new one-tonne pickup to sit in-between the mid-size Amarok and compact Saveiro pickups in South America. 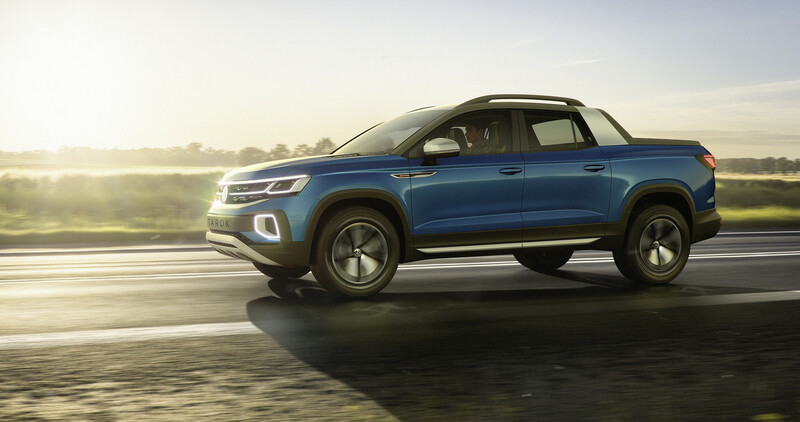 Based on VW’s MQB platform, the new pickup is expected to go in to production in 2019; arriving into showrooms in 2020. 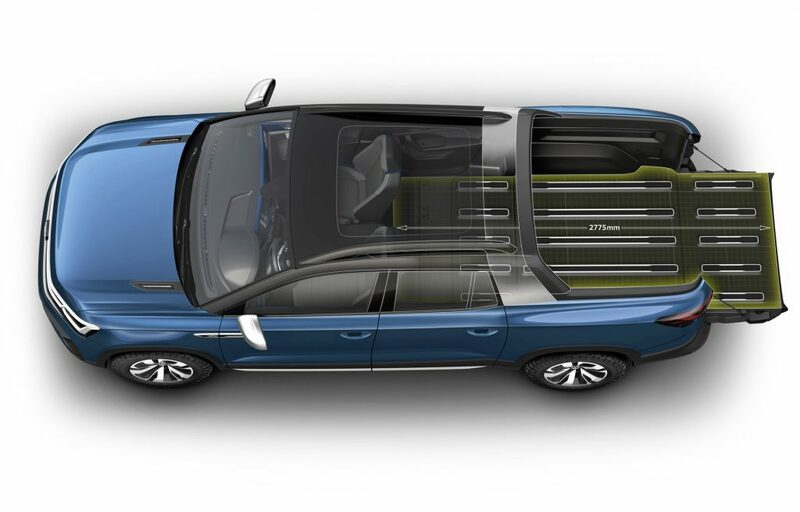 Volkswagen promises that the Tarok will combine the latest generation of digitally networked SUVs with the versatility of a cleverly designed five-metre pick-up, including an innovative folding bulkhead. 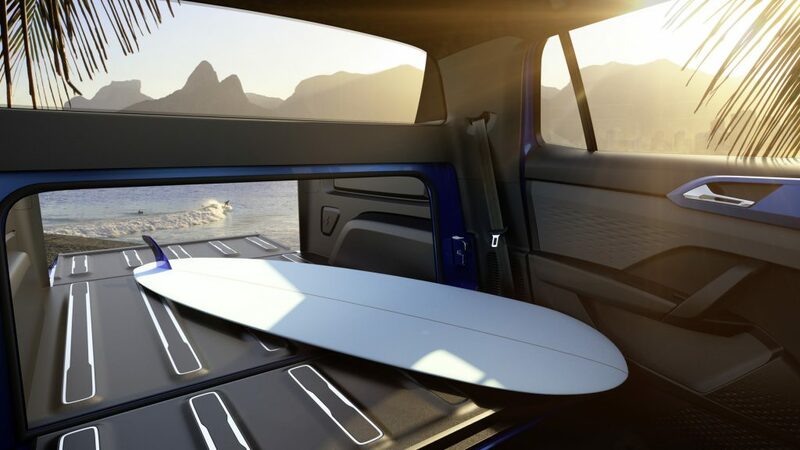 Sharing the MQB platform with the likes of the Audi A3 and Seat Ibiza, the Tarok is a double-cab pickup employing unibody architecture with enough room to ‘comfortably’ accommodate four adults. 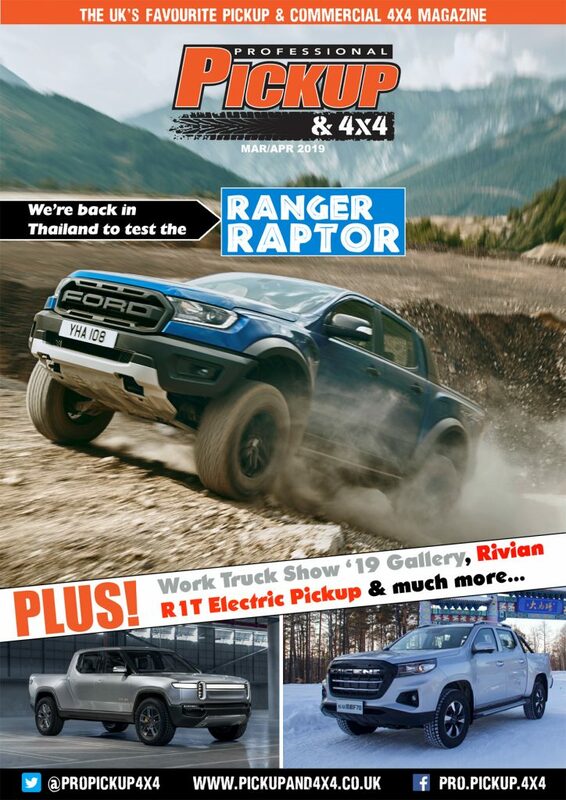 “With its striking Targa-inspired roof bar, charismatic front end, three-dimensional LED lighting strip in the rear, and powerful yet stylish side panels, the Tarok Concept’s expressive design makes it the first pick-up to combine the stylistic elements of an urban SUV with an authentic off-road design”, remarked Klaus Bischoff, Head Designer at the Volkswagen brand. 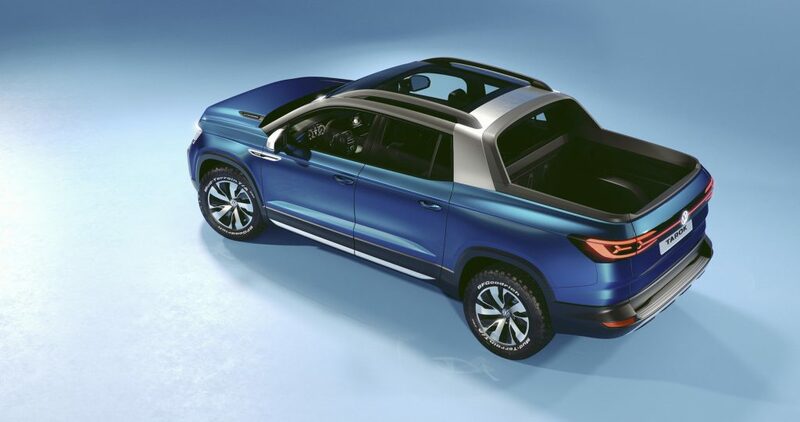 The cab design indicates a new way forward for Volkswagen in the pick-up segment, with its primarily digital design. Eye-catching elements include a colour-keyed crossbar in Cypress Metallic that stretches across the entire dash panel. This crossbar surrounds a glass-covered Infotainment system, digital air conditioning controls and a Digital Cockpit. 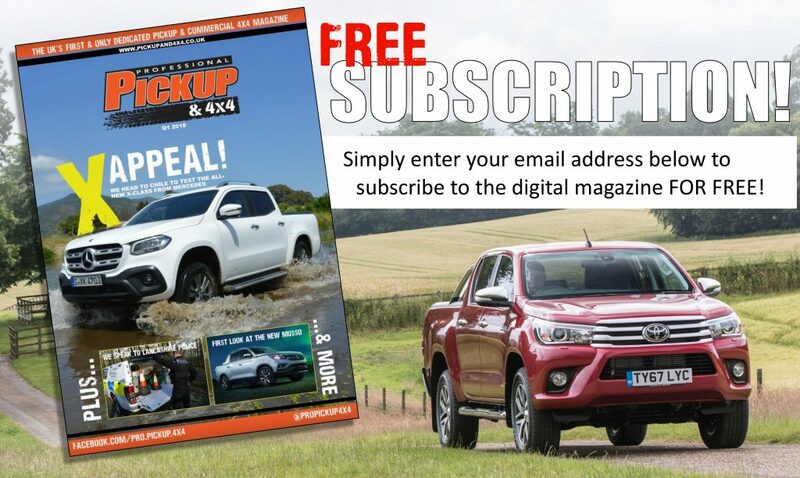 Measuring around 1.1 metres long, the load bed is between 400 to 500mm shorter than the conventional mid-size pickup. However, the Tarok’s rear seats can roll forward and the bulkhead can fold, allowing for an extra 700mm of load space inside the cab. The Tarok has a payload of one tonne. 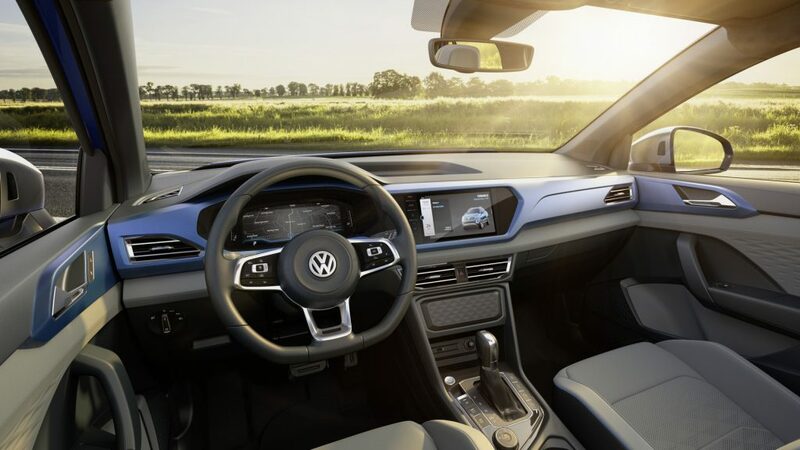 The first engine to be offered on the Tarok will be VW’s 1.4-litre (148hp/240Nm) TSI petrol engine, however if you can hold on an extra year, it will be available with the famed 2.0-litre TDi diesel (148hp/320Nm) which also powers the VW Transporter and, until 2016, the Volkswagen Amarok. 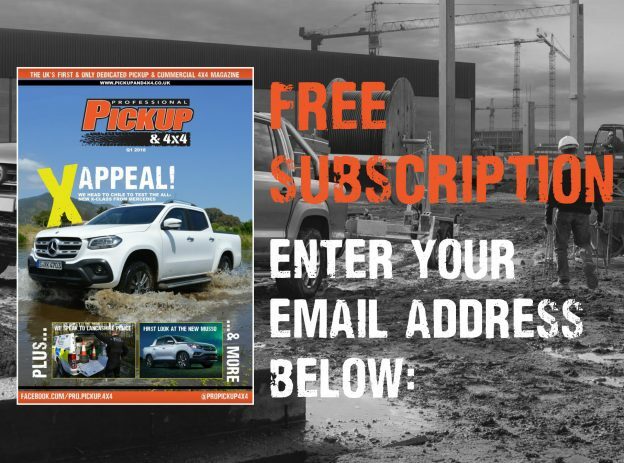 Only a six-speed automatic transmission has so-far been announced, and all models are fitted with the all-wheel drive 4Motion system as standard. 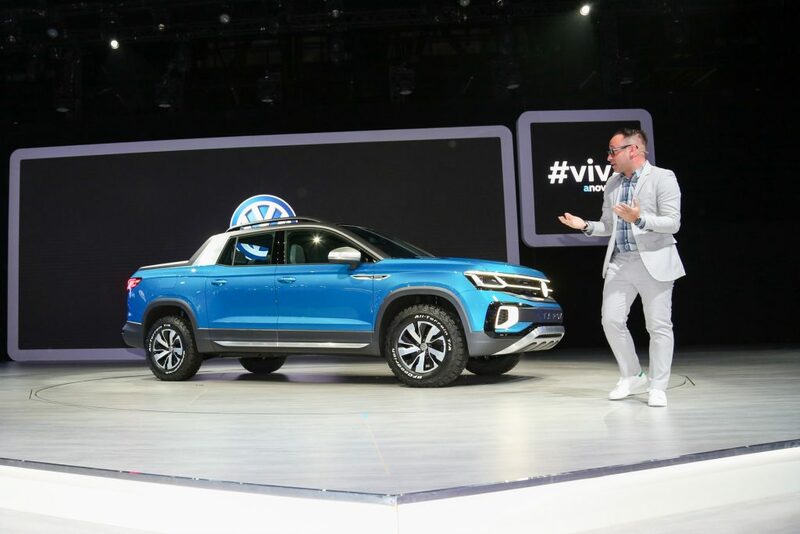 Prices haven’t been announced yet and its unlikely this model will go on sale in Europe, although VW did state the Tarok “has the potential to boost Volkswagen’s model range in other global markets” which hints that it may be offered in other markets outside South America.